Today I am going to review one more Essence Item. Essence is one of my favourite brand. 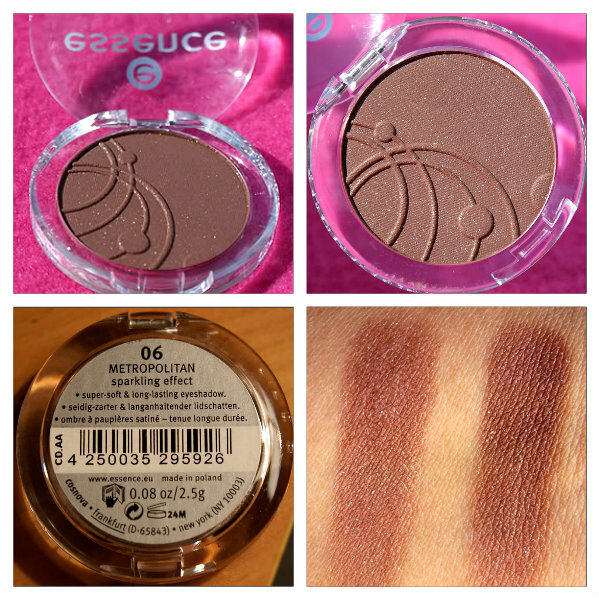 There are a wide range of shades available in Essence eyeshadow. Hope you enjoy my review on Essence Mono Eyeshadow 06 Metropolitan Sparkling Effect. These fantastic Essence eyeshadow stand-out for their shimmering, metallic and sparkling effects. The soft texture makes application a dream. Essence shades create unique effects on your eyes and give your final look an extra special touch. It comes in a transparent packaging and it is quite convenient to locate the shade. The transparent case is travel friendly and sometimes i find slight difficult to open it. The color is a gorgeous chocolate-brown shade with fine golden and silver shimmer along with a few glitter particles, Shimmer is not over the top. It is truly a classic shade of brown. I just love this shade! This color is not too dark or light and will show up nicely on eyes. It is relatively highly pigmented and i love it. You can creat you entire look with this shade no need to blend it with other colors. It can be used all over the lids or only in the crease. It looks very glamorous and is perfect for a party look or to create a smokey eyes. Texture is not overly soft and not too hard. There is very minimal fallout when used with a brush. There is very slight fallout, since it has shimmer, but it does not cause a mess at all during application. Without using primer, it still gives nice color payoff with single swipe. I think the colour appears more solid when worn with an eye primer It’s relatively pigmented and stays on for quite a long time. The texture of it is smooth which makes it comfy to wear. Staying power is about 4-6 hours if you don’t touch your face. It lasts for full 6 hours with a primer. I highly recommend this shade, it is pretty brown color with sparkling effect. Do you have this shade in your make-up collection? If not please get one for you, i am sure you will like it. 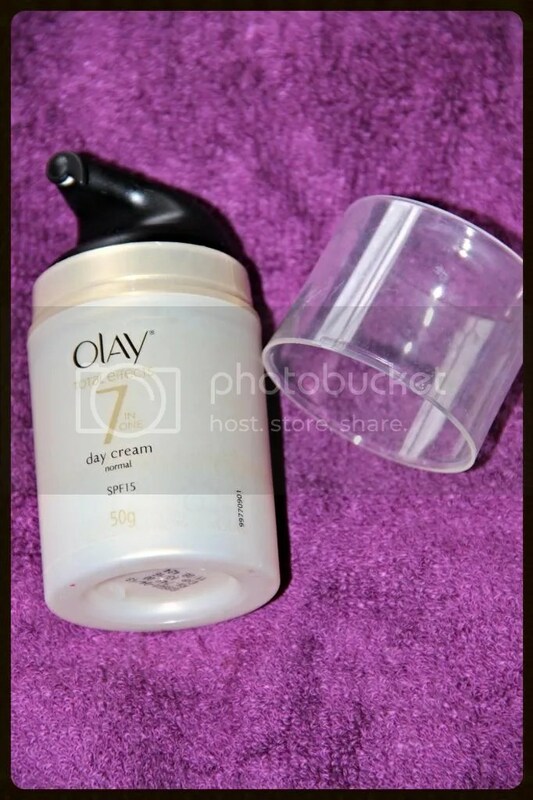 Today i am going to review Olay Total effects 7 in One Day Cream. I am using this cream since very long like 5 years. I have also used other brands day cream also like Garnier, L’Oreal, Pond’s, Lakme and they all my favourite too. A daily facial moisturiser that provides 7 anti ageing benefits in 1, plus SPF 15 to help protect against sun exposure.Total Effects is the result of years of state-of-the-art anti-ageing research. It is our answer to the needs of all skin types. It has been specially formulated to help fight 7 signs of ageing. Press the pump gently to release a pea–sized amount of the product. This amount should be enough to cover the face area. Using your finger–tips, apply the product to your face and neck with gentle, circular movements. Olay total effects 7 in one anti ageing cream comes in a pumping travel friendly packaging. The transparent cap on bottle prevents any spillage.The moisturizer is very light and non sticky in texture. I love floral fragrance of this cream so much, feel like to smell it over and over. It remains for quite some time. I have dry skin, so the cream gets absorbed on face quickly. There is neither any whitish cast nor any greasy feeling. The consistency of cream is like lotion but not too thick not runny. I really like this day cream as it gives firm looking skin, it is light and non sticky. It also even out skin tone. One bottle lasts about 1-2 months. It is quite costly, but i think it is worth to spend money on it. Have you tried Olay total effects 7 in one day cream? What do you think about it? Please post your feedback too. 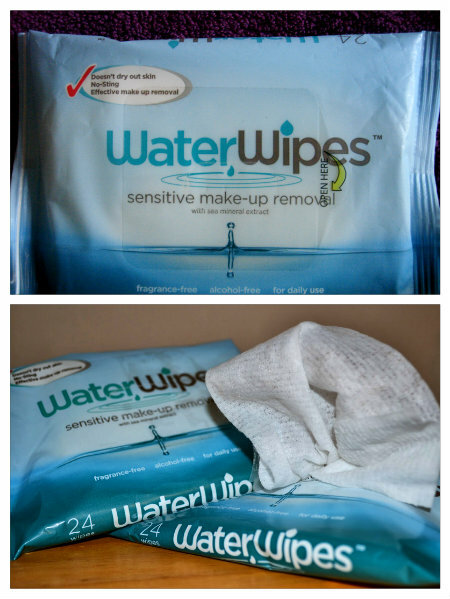 I have been sent sensitive make up removal from WaterWipes to try and review them on my blog. I am using sensitive WaterWipes facial wipes everyday since 1 week. They are pretty good and i feel my skin soft.Other facial wipes contain harsh chemical ingredients that can irritate sensitive skin. They can sting and dry out your skin leaving your skin feeling tight and red. WaterWipes Facial Wipes are 100% natural. They are made with 99.9% ultra-purified water, 0.1% citrus grapefruit seed extract and dead sea minerals… and that’s it! They are thick and strong enough to get the job done, yet soft and gentle enough to use everyday. This sensitive facial wipes are fragrance-free, Alcohol-free and it is suitable for daily use. Each packet of wipes contains 24 individual wipes which are thick in quality, and have a slight exfoliating texture.This sensitive and natural wipe that removes make up and does not dry out your skin. WaterWipes are perfectly suited for sensitive skin, it is non irritating and significantly reduce risk of allergic reaction on the skin. This wipes leave no oily residue, just a clean and fresh feeling every time you use.They can even be used on your eyes without any irritation, and surprisingly considering they contain 99.9% water they still remove eye make up and mascara easily. This wipes are quite easy to carry with you in your handbag. They’re perfect for sticky hands or simply to freshen up. I would recommend WaterWipes to anyone with sensitive skin. It cleans your entire face, leaving it feeling clean and refreshed. 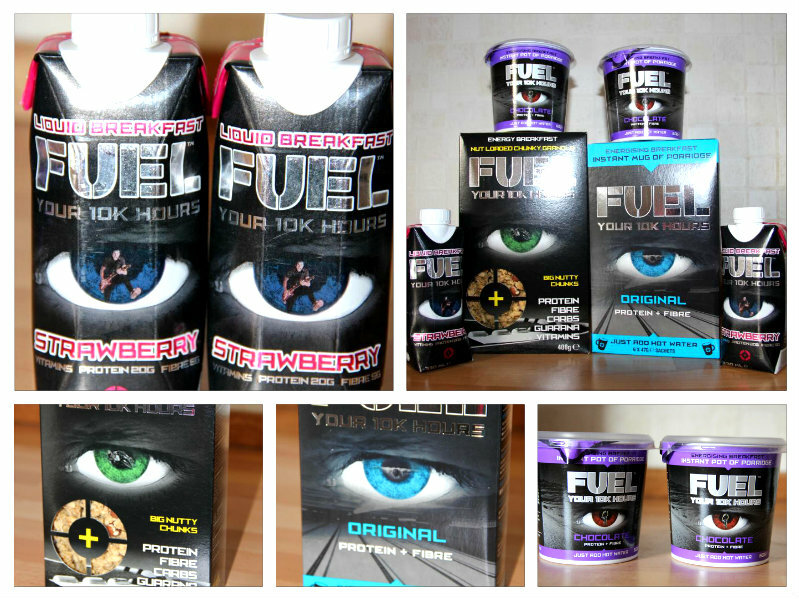 I was very kindly sent to try and review FUEL YOUR 10K HOURS product range. I was really excited about this review and I’m a massive fan of breakfast and I eat like a Queen most mornings. I think breakfast is one of the most important meals of the day, it sets you up for the day ahead. You should never skip your breakfast. It should be healthy. They sent me 1x Nut Loaded Chunky Granola, 1x Instant mug of Porridge(it contains 6 sachet), 2x Liquid Breakfast in Strawberry, 2x Instant pot of Porridge in ChocoLate. It made with a blend of crunchy toasted oats called granola and a vitamin mix designed for active lifestyles. It loaded with extra flavour and available in three delicious options (Nut Loaded, Fruit Loaded and Chocolate Loaded). The granola is packed full of protein, fibre and vitamins to keep you going through the morning. Big and Nutty blend in a wholesome mix of split and whole roasted nuts, hazelnuts, almonds, pecans, walnuts and coconut. Vitamin Infused to cater for particularly active lifestyles. Vitmamins E, B1, B2, B3, B5, B6, B12 and Folic Acid B9. With Guarana a natural energy booster. The fruits of the guarana plant contain natural caffeine giving you the energy boost you need to start of the day. I totally enjoyed this nut loaded crunchy granola. 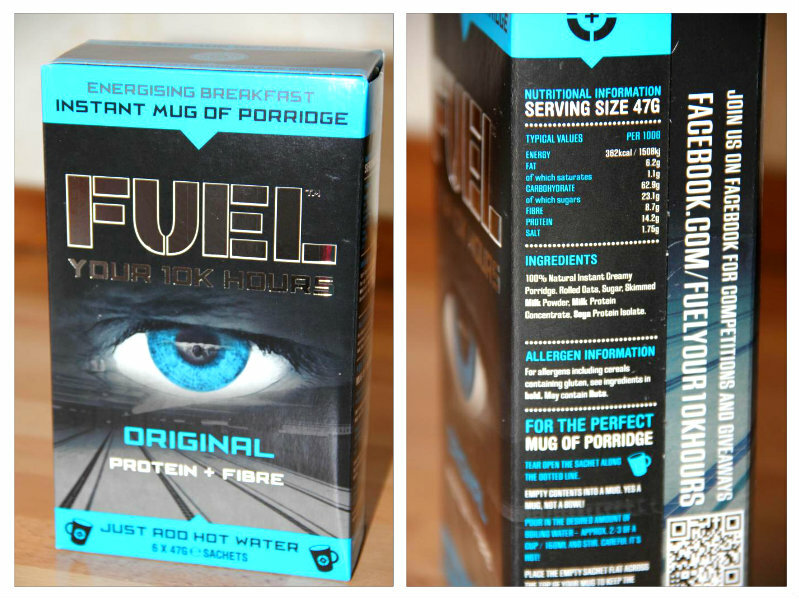 Energising breakfast Protein + fibre Just add hot water Your 10K Hours 20 hours a week, 1000 hours a year, for 10 years This is what it takes to become elite Athlete or artist, businessman or musician, fuel provides critical morning sustenance for those in the search for excellence. Instants porridge Mugs are the perfect way to start your morning. Available in three flavours(Original, Apple and Cinnamon, Forest Fruits and Golden Syrup) they are low in fat, and contain 10G of protein. 100% natural instant creamy Porridge. 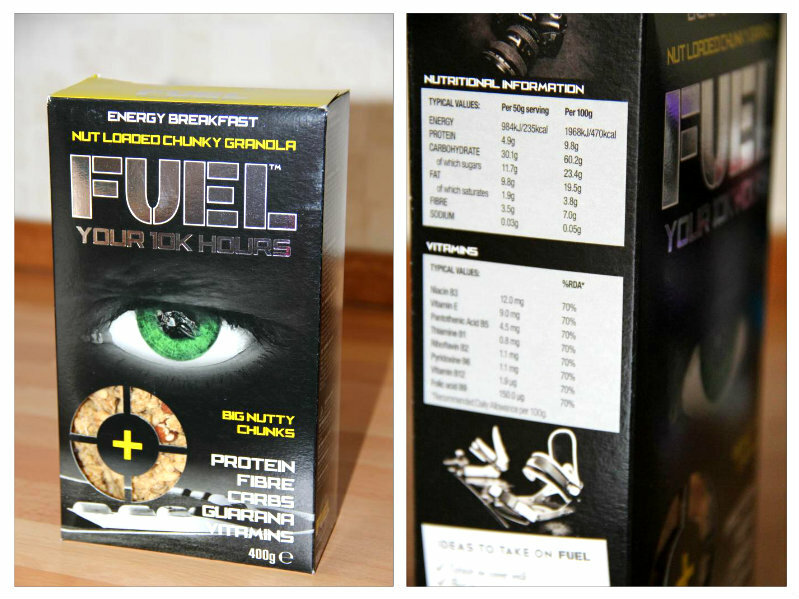 Rolled Oats, Sugar, Skimmed Milk Powder, Milk Protein Concentrate, Soya Protein Isolate. It is very easy to prepare, open sachet along the dotted line and empty contents into a mug. Pour in the desired amount of boiling water – Approx. 2/3 of a cup/160ml and stir it well. Leave it for 3 to 4 minutes. Longer you leave it the thicker it gets. If you like your porridge thicker, add little less water. I totally love this mug of porridge very easy to make it when you are in hurry and plus you get healthy breakfast in just 3 minutes. 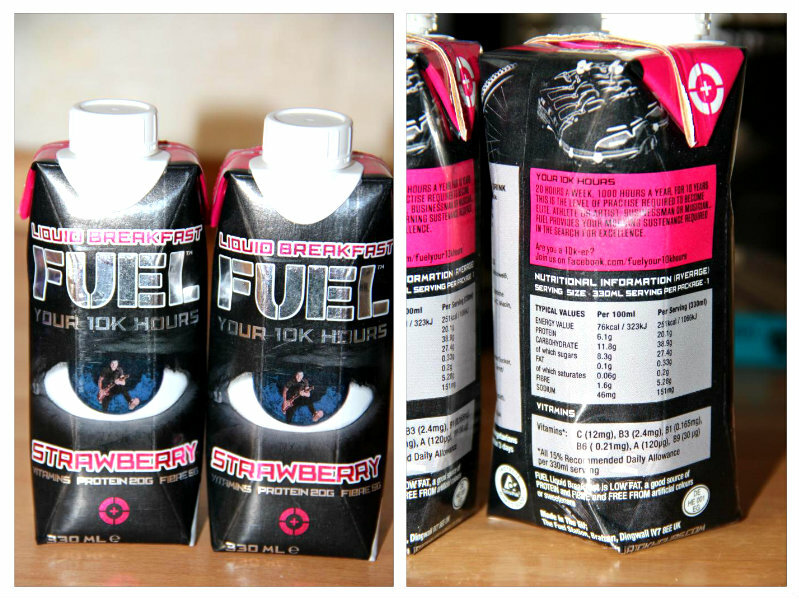 Flavoured milk drink with added protein, fiber and vitamins and with less than 1% fat designed for active lifestyles.FUEL Liquid Breakfast is available in four delicious flavours (Strawberry, Chocolate, Cafe Latte and Vanilla) and provides all the morning sustenance you need. It is the perfect “grab and go” solution for your busy lifestyle. This milk drink is designed to be an alternative to a solid breakfast, with less than one per cent fat per helping. Each 330ml carton contains 20g of protein – from skimmed milk and soya protein – and 5g of fibre as well as vitamins A, B1, B6 and C, niacin and folic acid, all of which Fuel Your 10K Hours says helps to support active lifestyles. It’s a delicious drink, that tastes very similar to a strawberry milkshake, but with the added satisfaction of knowing that it’s packed with protein and low in fat. This is again very easy to make, Add boiling water to line on inside of pot, stir thoroughly and then replace lid. Leave to stand for 3 minutes and remove lid, stir and enjoy. It is quite handy too as you adding water into mug so you can take away with you when you are in hurry. 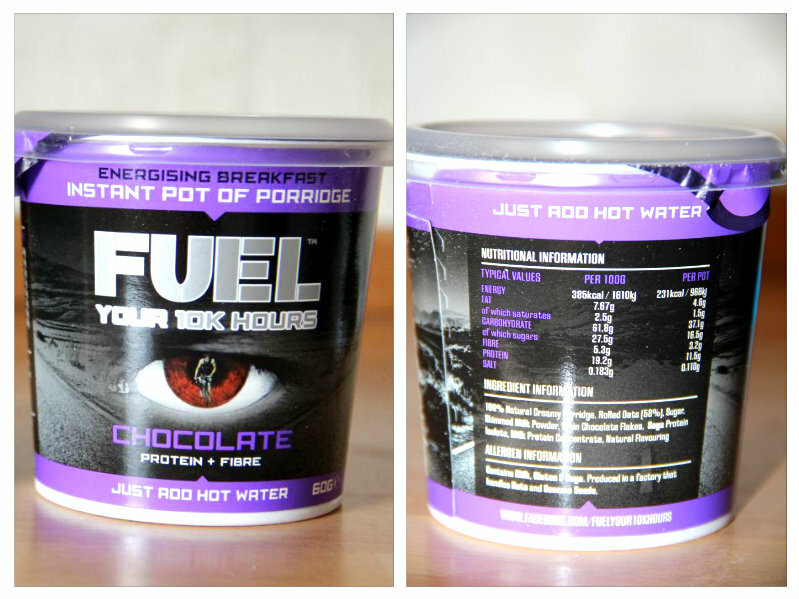 I’m a huge fan of porridge, it’s one of my favourite breakfasts,but I’ve never tried an instant porridge pot of this type before. I probably had quite low expectations about the flavour, but I’m happy to admit I was completely wrong. I loved the Chocolate flavour. The whole thing was very filling and satisfying, and I’ll definitely be trying these again and other flavours too. 100% Natural Creamy Porridge, Rolled Oats [58%], Sugar, Skimmed Milk Powder, Plain Chocolate Flakes, Soya Protein Isolate, Milk Protein Concentrate, Natural Flavouring, Contains Milk, Gluten & Soya, Produced in a factory that handles Nuts and Sesame Seeds. In conclusion, FUEL energy breakfast contains all the essential vitamins, protein, fibre and carbs you need to get through the day. All of this and it tastes great. What more could you ask for? I certainly loved eating this cereal and I’d highly recommend it. Today i am going to review one of my favourite essence product. I love essence product because prices are always reasonable and they don’t compromise quality of the product they deliver. Essence Mono Eye Shadow Olive Garden 52-48274 Electrified eyes… the popular mono eyeshadow ensure color highlights on your eyelids and are sure to give all girls that extra-special added touch. It comes in very simple plastic transparent packaging in round curve. 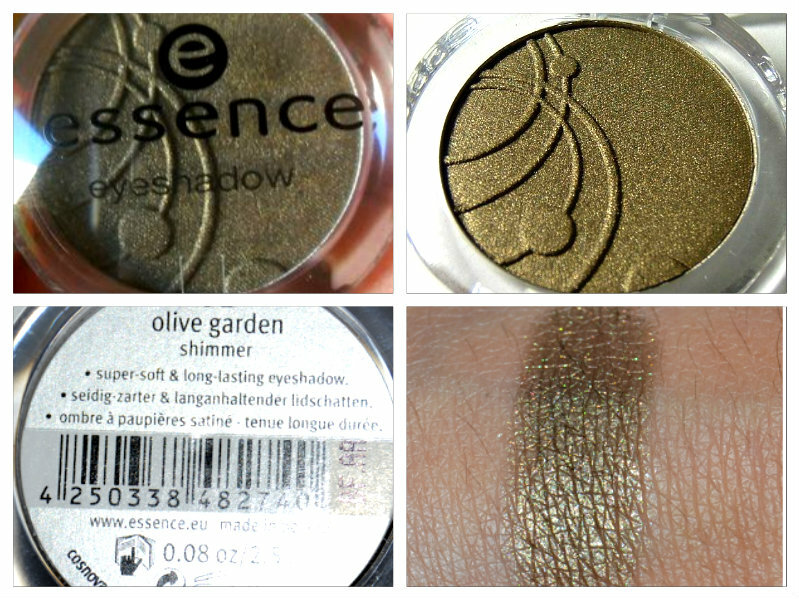 You can see shade through the flap.Olive Garden is a shimmery olive-green with golden undertones to it. When you wear this color it looks like antique golden color. The texture of the shadow is smooth, soft and satiny. It applies smoothly on eyes and is very easily blendable.It can be used alone or along with darker shades to get a smoky look. Olive Garden is nicely pigmented, the color is very much buildable. In one swipe you get nice color on your eyes but if you want darker side then intensity can be increased in 2-3 swipes. There is no fall out during application.The staying power of this eye shadow is fantastic without using primer base too. It lasts about 5 hours so that is very good and then you will see little fading. With primer base staying power can be increased. I really like this shade so much and it suits me 😉 so may be I like it. You can use it as lighter shade in 1 swipe or you can increase intensity of it by 2-3 swipes. Have you tried Olive Garden?Do you have Olive Garden in your collection?Post your comments below :).